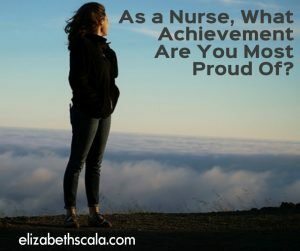 As a Nurse, What Achievement Are You Most Proud Of? Nursing can be a very challenging profession to work in. 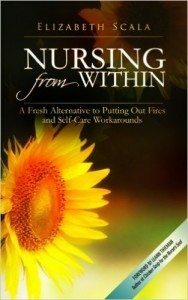 I often hear from nurses who are contemplating or on the verge of quitting nursing altogether. Gosh, with the staffing ratios, workplace violence, nurse burnout, and so much more… it sometimes amazes me that we have any nurses left at the bedside! 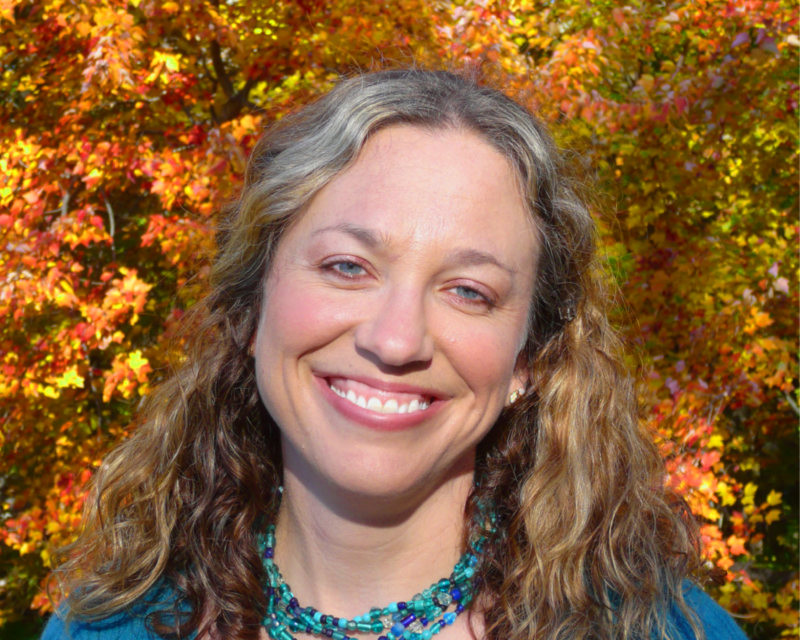 However, as a advocate for appreciative inquiry and solution-oriented thinking, I have hope. And I know that there are nurses working out there in the profession of nursing who are PROUD to call themselves “nurse”. In fact, if that is you, make sure to leave a “THAT’S ME!” comment below. 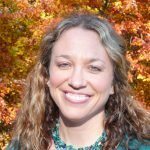 Let’s highlight all of the nursing pride that we can! In honor of the upcoming Nurse’s Week, I figured it would be a great time to celebrate the profession of nursing and all of the great nurses we have working with us. Often we work so hard that we forget the achievements that we have accomplished. The response was SUPER inspiring and extremely fun!! And, I encourage YOU to leave your proudest achievement below. Let’s celebrate nursing success! Some of you may know from reading Nursing from Within or hearing me present, I never thought of becoming a nurse. It was sort of introduced to and then highly encouraged of me by friends and family. A girl who faints when giving blood, gets queasy at the site of burns, and cannot deal with tubes, lines, or bandages… and she IS a nurse! You know the really cool thing about being a nurse is that you can be one in your unique way. That is really what Nursing from Within is all about. That’s what I am proud of when I think of the nursing profession. And it is why I believe that each and EVERY nurse has an achievement to be proud of! You are a nurse!! You went through the education and training. You passed the NCLEX! You did all of the hard work. And if you can think of nothing else, just for today, be proud of the achievement of calling yourself NURSE. Happy Nurse’s Week to each and every one of you! We couldn’t be the profession of nursing without you! Just reading the comments above gives me chills and makes me grin ear-to-ear. Let’s hear from more of you on what nursing achievement you are proud of! Let’s hear from you! 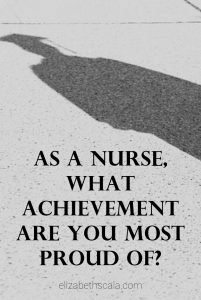 As a nurse, what achievement are you most proud of? Share below and thanks for reading! Great contemplation Elizabeth. Being a nurse gives me the opportunity to be in the world, to offer service, to grow, to develop spiritually in ways that are consistent with my values. I love being able to empower others to speak up for themselves, to help others live and die with dignity and wholesomeness. I had no idea when I started this long journey that it would be so rewarding for me and others. Thank you so much, Padma! I am glad that you enjoyed it. And yes, being a nurse is a profession that supports continued growth and personal development. Thanks for sharing with us!! I think I will post a board on the Oncology units in my service line posing this question. Excellent inquiry! I, too, am most proud of successfully completing nursing school and passing the boards. Each day, I find new opportunities to continue my delight in choosing nursing as a career. So proud that people trust me with their care and their loved ones. Wonderful! So glad you enjoyed the post. And thank you for sharing it along! Happy Nurses Week! Thanks for the post. Really Nursing is not only a profession but also a calling.